I am the king of all nerds. There can be no other. What else is a guy supposed to do after a big snowfall and while waiting for "Waters of Mars" to air here in the States? And of course TLA helped, sawing the snowballs in half and shaping the body. And hmmmm. 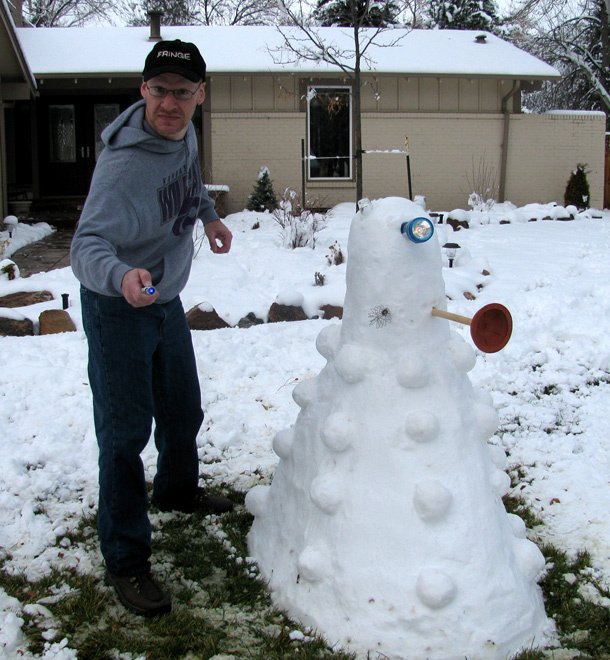 Dalek and dork both start and end with the same letters. Coincidence?